Grammar, Comparative and general; Verb. Amazon.com description: Product Description: Here, Pinker explains the mysteries of language by examining a single phenomenon, regular and irregular verbs, from a dozen vantage points. As the story unfolds, the reader is immersed in the evolution of the English language over the centuries, the theories of Noam Chomsky and his critics, the simulation of neural networks on computers, the illuminating errors of children as they begin to speak, the tragic loss of language from neurological disease, and more illustrations using humorous wordplay. 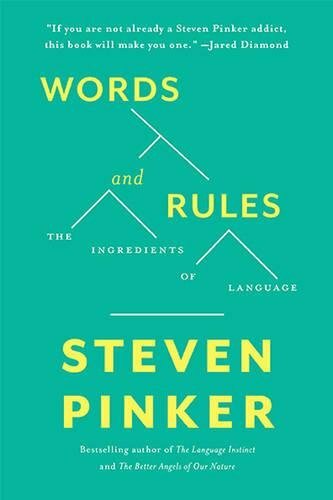 Pinker aims to makie sense of all these phenomena, with the help of a single idea: that the essence of language is a mental dictionary of memorized words, and a mental grammar of creative rules.